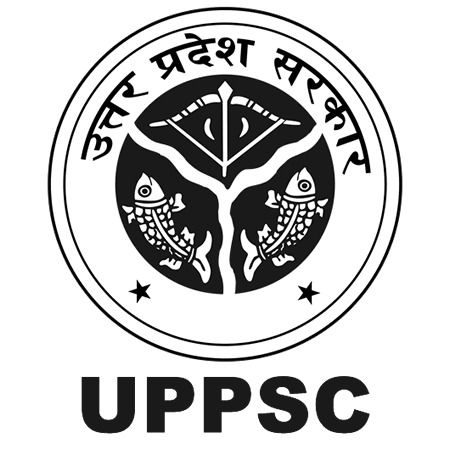 UPPSC Recruitment 2019: Uttar Pradesh Public Service Commission (UPPSC) / uppsc.up.nic.in is conducting recruitment processes to fill 16 vacancies. As of now, there is one recruitment drive going on for Apply Online for 16 Programmer & Computer Operator Posts. UPPSC Recruitment 2018 - Apply Online for 17 Assistant Prosecuting Officer Posts in Uttar Pradesh. Online Applications are invited by Uttar Pradesh Public Service Commission (UPPSC) from 28 Dec 2018 to 25 Jan 2019 for 17 vacancies. UPPSC Recruitment 2018 - Apply Online for 21 Assistant Registrar Posts in Uttar Pradesh. Online Applications are invited by Uttar Pradesh Public Service Commission (UPPSC) from 30 Oct 2018 to 30 Nov 2018 for 21 vacancies. UPPSC Recruitment 2018 - Apply Online for 2437 Allopathic Medical Officer, MO & Other Posts in Uttar Pradesh on Direct Recruitment. Online Applications are invited by Uttar Pradesh Public Service Commission (UPPSC) from 01 Oct 2018 to 01 Nov 2018 for 2437 vacancies. UPPSC PCS J Civil Judge Online Form 2018 - Apply Online for 610 Civil Judge (Junior Division) Posts in UP Judicial Service, Uttar Pradesh. Online Applications are invited by Uttar Pradesh Public Service Commission (UPPSC) from 11 Sep 2018 to 11 Oct 2018 for 610 vacancies. UPPSC Recruitment 2018 - Apply Online for Combined State/ Upper Subordinate Services Exam 2018 in UPPSC, Uttar Pradesh. Online Applications are invited by Uttar Pradesh Public Service Commission (UPPSC) from 06 Jul 2018 to 02 Aug 2018 for 831 vacancies. UPPSC Recruitment 2018 - Apply Online for 1105 Ayurvedic Medical Officer, Lecturer & Other Posts in Uttar Pradesh on Direct Recruitment. Online Applications are invited by Uttar Pradesh Public Service Commission (UPPSC) from 18 May 2018 to 18 Jun 2018 for 1105 vacancies. UPPSC Recruitment 2018 - Apply Online for Memebers Posts in Department of Personnel, UPPSC, Uttar Pradesh. Online Applications are invited by Uttar Pradesh Public Service Commission (UPPSC) from 25 Apr 2018 to 25 May 2018 for 7 vacancies. UPPSC Recruitment 2018 - Apply Online for 10768 LT Grade Assistant Teacher Post in Uttar Pradesh. Online applications will start from 15th Mar 2018 and end on 16th April 2018. However, the last date for depositing fees is 12th April 2018. UPPSC Recruitment 2018 - Apply Online for 2289 Lecturer, Dental Surgeon, Professor & Principal Posts in Uttar Pradesh on Direct Recruitment Basis. Online Applications are invited by Uttar Pradesh Public Service Commission (UPPSC) from 30 Dec 2017 to 30 Jan 2018 for 2289 vacancies.